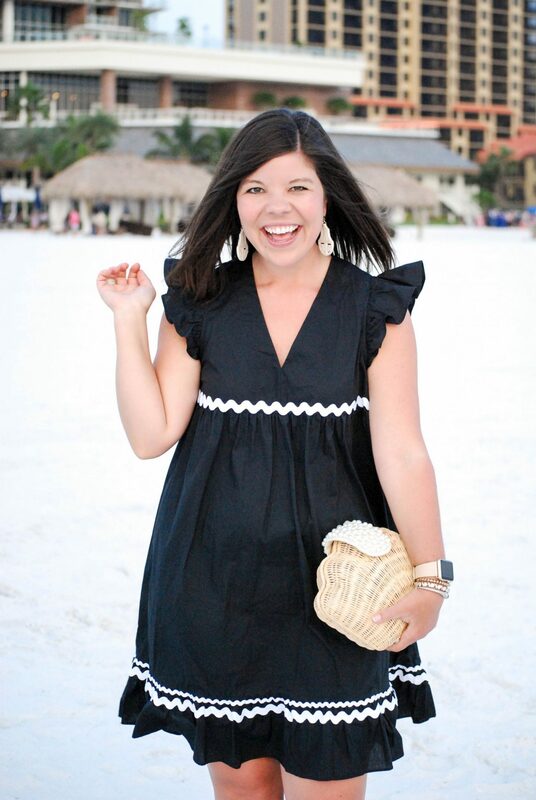 Ric Rac Dress on the Beach + Nordstrom Giveaway! One of the cutest details for summer is ric rac – and now you can get the designer look without the designer price tag! Have you ever fallen recklessly in love with a dress before? Because I’m pretty sure that happened to me the minute I laid eyes on this ric rac perfection! No sooner did I spot this dress online then I added it to cart and was hitting “checkout” before I could even think about it! Once it arrived at my doorstep though I knew I had made the right choice 🙂 Y’all this beauty is worth every penny of its minimal $30 price tag and the perfect vacation dress. It arrived while I was still in Atlanta and I made a pitstop by my house on the way to Marco Island just to be able to take it with me- now if that’s not love… haha! Sidenote: I mentioned on Instagram but it’s worth mentioning again that I saw the most spectacular sunset while I was in Marco Island. We drove over to the beach behind the J. W. Marriott and it was the most gorgeous spot to catch the color-changing sky. If you make it down that way I can’t recommend it enough! And now for an awesome giveaway! 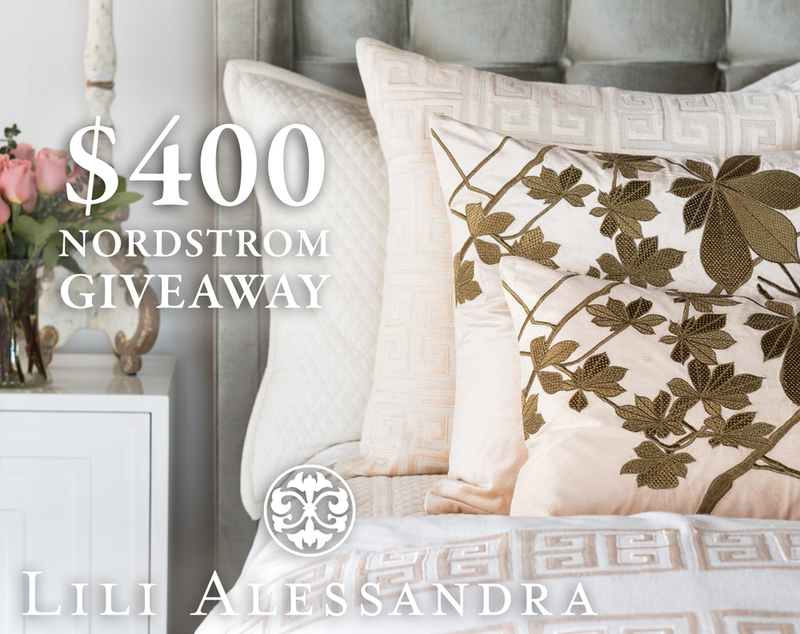 I’ve teamed up with some sweet blogger friends & Lili Alessandra to bring you a $400 giveaway to Nordstrom! As we all know the Anniversary sale is still going strong and you can win $400 in time to still scoop up the amazing deals! See all the ways to enter in the rafflecopter below & good luck! Have the most fabulous start to your week friends! Ok, how freaking adorable is this whole outfit?! SO cute! And that clutch… I totally need it in my life. How much more mermaid can you get?! You’re right- that is such a Mermaid clutch! You look adorable! Per usual! Thanks! I just picked them up in Atlanta! Such a great dress! I absolutely love ric rack and I can’t get over how amazing your clutch is! I already placed that on my Amazon wish list! Yay!!! You will love it- it’s so unique! What a darling dress! I love the embroidery detail, so cute! I can see why you feel in love! 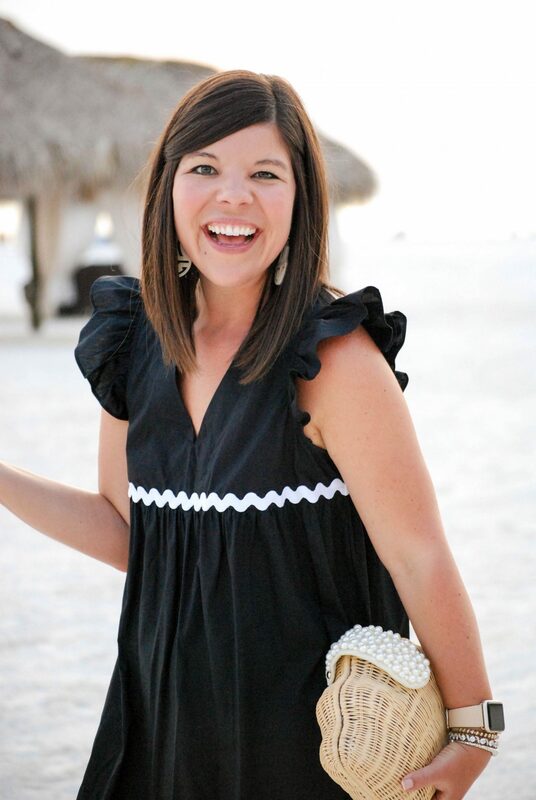 The ruffle detail and ric rac is adorable and so perfect on you. This dress is sooo cute, I love ric rac! Can’t believe its from Target! I need this dress in my life ASAP! It’s so cute and that rick rack detail is on point. 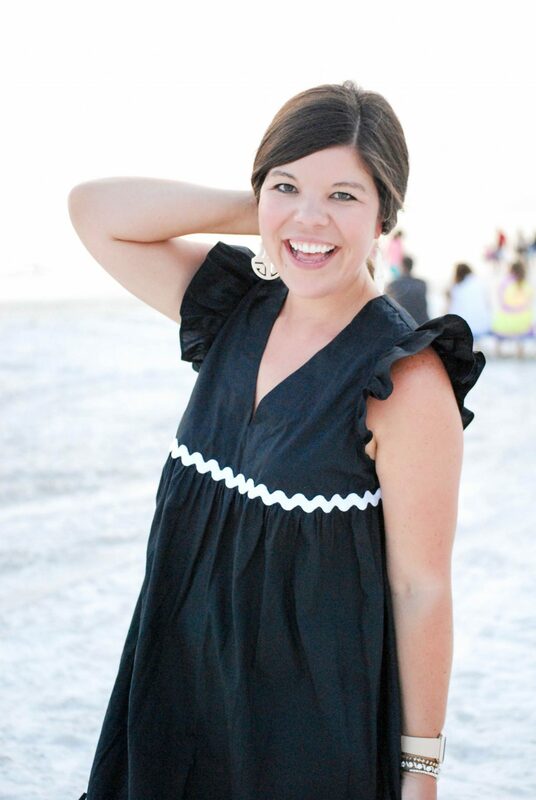 Squealing over how absolutely adorable this dress is Gentry! 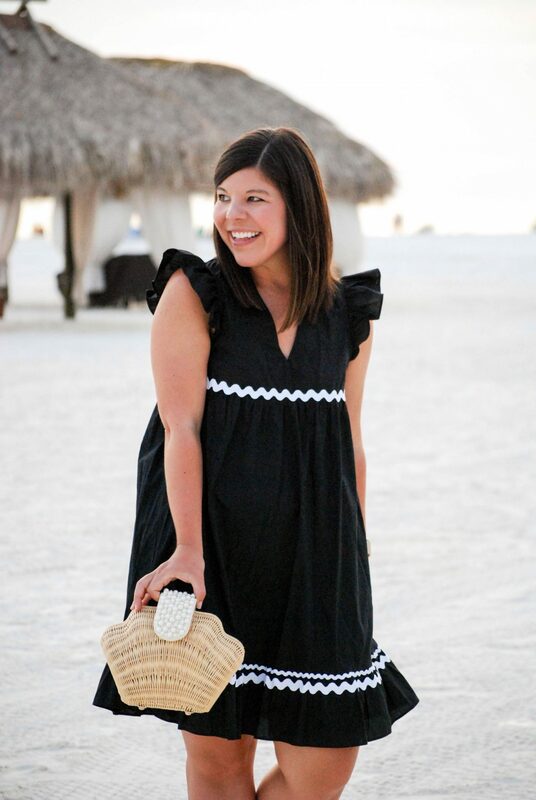 I love it on you and it is perfect for the beach! This dress is so adorable! I love love love the detailing and the price is AMAZING! Ordering it right now. Woo-hoo! Hope you enjoy it as much as I do! 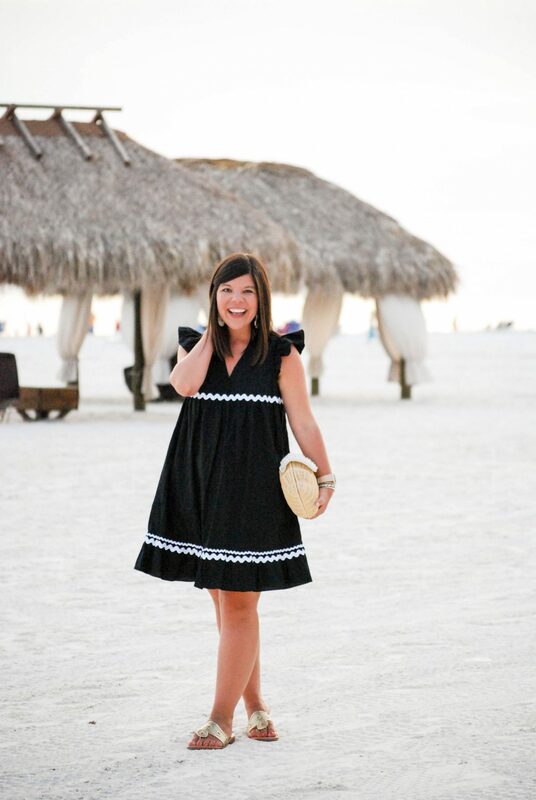 What a darling little dress! I love the sleeves and white pops of detailing! This is such a cute dress babe! I am loving the ruffled sleeves and the length, gorgeous! I am loving this dress! The ruffles and embroidery detail is so cute together! I am loving that bag too! 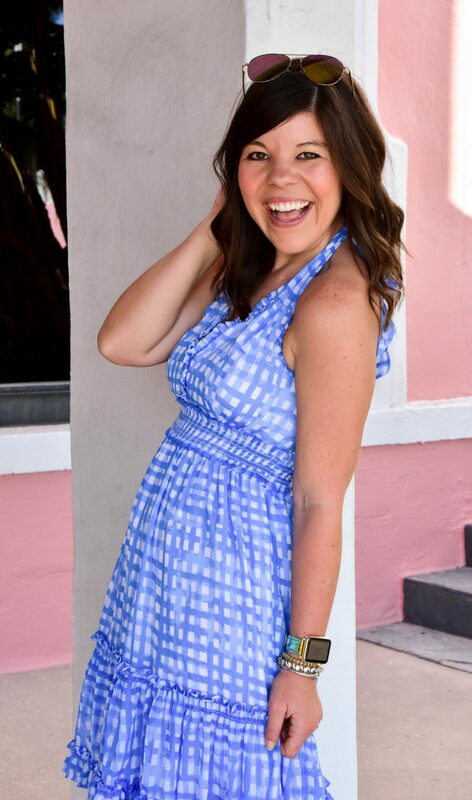 This is one of those perfect dresses that you could wear for SO many occasions!! At under $30 I’m adding to my cart immediately too! 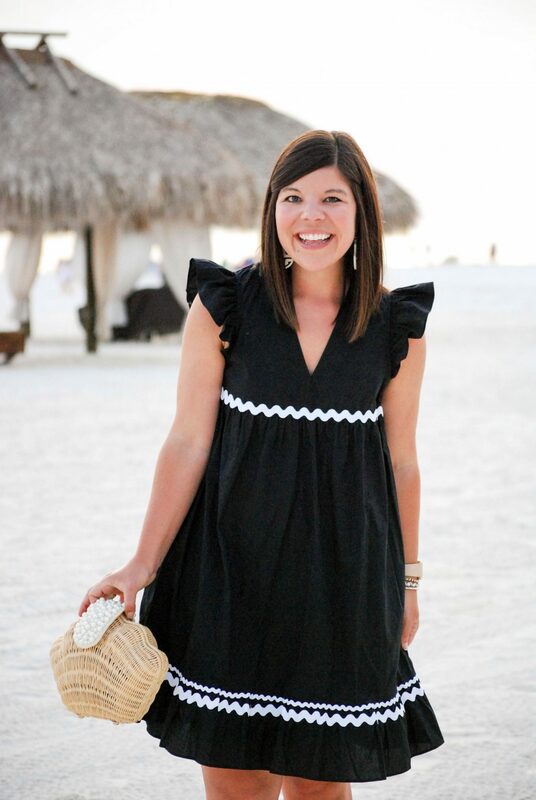 This dress is just darling on you! perfect for a beach getaway! 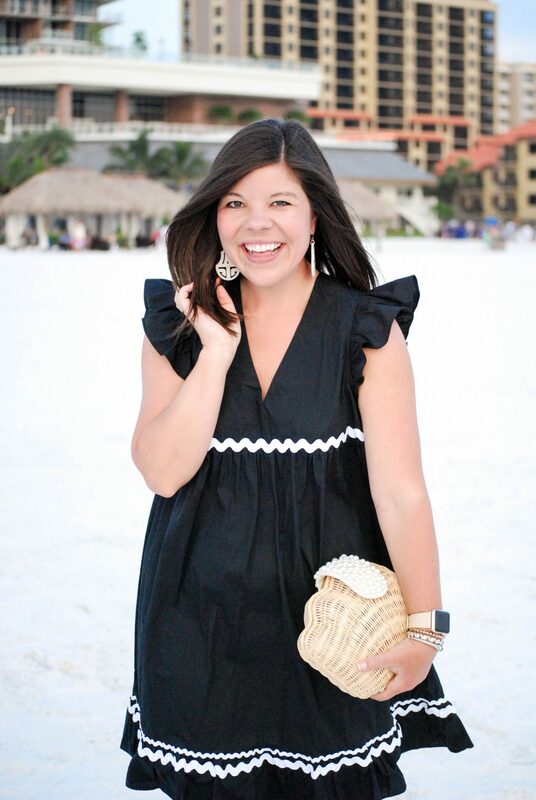 This is such a cute dress — and I love that clutch! Might be prime-ing it to myself ASAP!